The beginning of the school year is filled with many challenges, and one of the greatest ones for teachers of young children is getting the first assessments done. Obviously, the primary reason that it takes so long is that most of the tests must be given individually and orally because the children do not yet read or write! 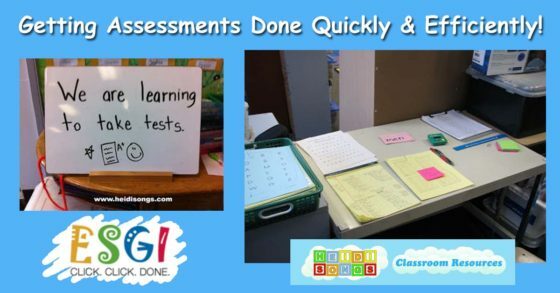 This leaves teachers with TWO issues: the first one is finding the time to test each child, and the second is how to keep the other children occupied in a meaningful way while you test just one of them. This scenario is true in preschool (if they are tested,) pre-K, Transitional Kindergarten (TK,) Kindergarten, and yes- it continues to be an issue in first grade! 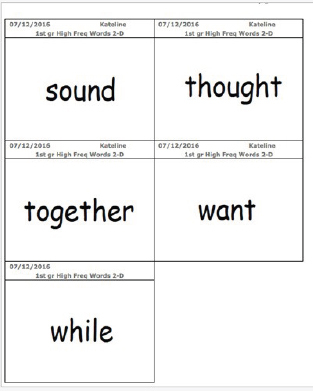 I even needed to test my second graders last year on 300 sight words each, and if I had had any that were intervention students, they would have needed to take the first grade tests as well! Here are the most important things you can do to make your assessments go more smoothly. Make a master list of all of the tests you need to give. Make a check-off list like the one above with your students' names on it and make multiple copies of it so that you'll always have a fresh check list to use on any given day. Organize everything the day before you expect to begin any test. Make sure that you check your district's testing protocols and consider putting the instructions in a page protector. This is a list of skills that need to be tested from several years ago. 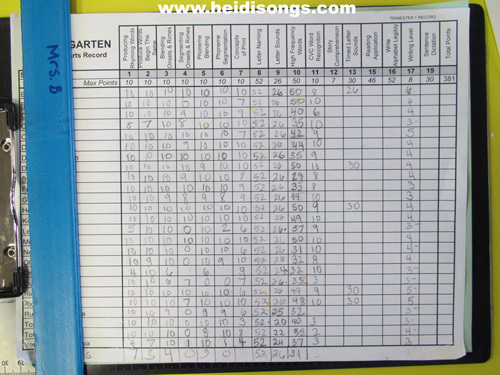 I blurred out the scores for privacy reasons. 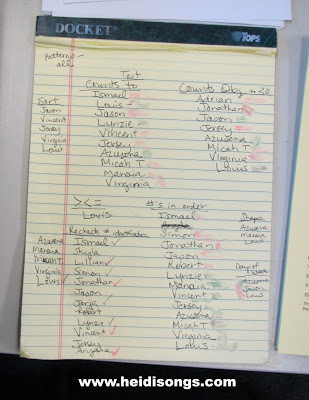 As you can see, each child’s name is checked off as the test is completed. 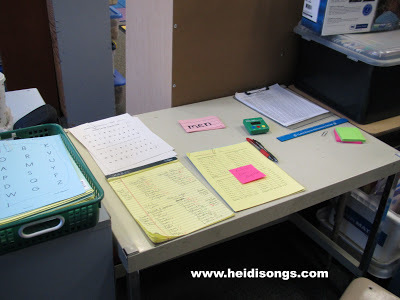 Gather all of the supplies you'll need and set them out or put them in a tub with the instructions so that everything is ready, along with a check-off list of your students' names on a clipboard. If there is space, pull a desk over to make a semi-permanent testing center for yourself that can just stay cluttered with all of your testing stuff until you are completely finished. If you need a paper copy of the test for each student, make sure that there are extras on hand in case of spoilage or a new student. 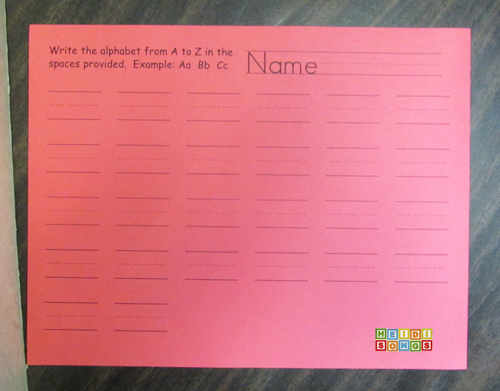 Consider creating a separate assessment file box with the master for each test and the instructions in a page protector, plus several extra student copies of the test. Consider creating a "Testing Supply Box" that has everything you need in it for all of your tests throughout the year, so that whenever a new student should walk in, or if you need to retest a child, everything is always right there- flashcards, manipulatives for counting, sorting, etc. Get as many volunteers on board as you possibly can! This should help quite a bit. Find something for your other students to do that will keep them happy and busy for as long as possible. There are some suggestions on the things that I did in Kindergarten here. My favorite thing to do is to plan a rotation that includes dividing the kids into small groups, and planning fun but educational things to do at each center. For example in Kindergarten, kids could color a picture at one center, play with puzzles at another, explore patterning with Unifix cubes at another center, and read books or "write" in journals at another. Then, all the teacher has to do is just pull the kids out one at a time and keep testing them, stopping every 15 minutes or so to rotate your groups. 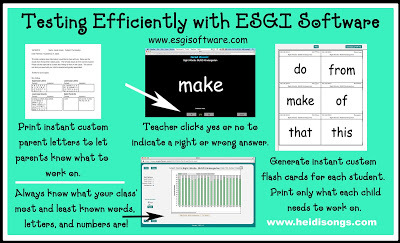 One tool that made my assessments SO much easier every year I taught Kindergarten was ESGI Software. ESGI software generates graphs that will show you who has been tested and who still needs to be done. 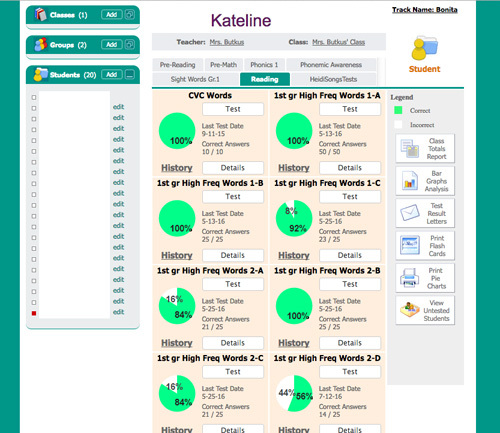 It also frees you from needing to sort through flash cards to find just the ones that a child needs to retest on. Plus, you can use it on a tablet, so it's portable! You can bring the table to assemblies or anywhere that you think your class will have to WAIT. So, you can grab a child as they are waiting for that assembly to start and plow right through the alphabet rather than waste those precious minutes! Just make sure that you choose your more confident children to test in these situations, obviously. That's the best thing about ESGI- no wasted minutes! 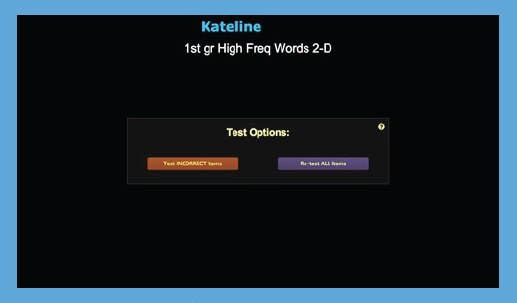 And it also allows you to give parents IMMEDIATE feedback in the form of a set of personalized flash cards and individualized, personalized letters that explain their child's test results. 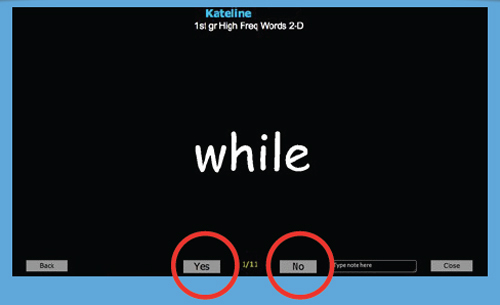 When testing, the question comes up on the screen and you ask the child to answer it. Then the ADULT clicks yes or no. If it is not the first time you've tested the child, you can decide if you want to test all the items or just the items missed. When you are done, you can go back and edit the results if you think you made a mistake. Just select the item you want to change, click the arrow and save! 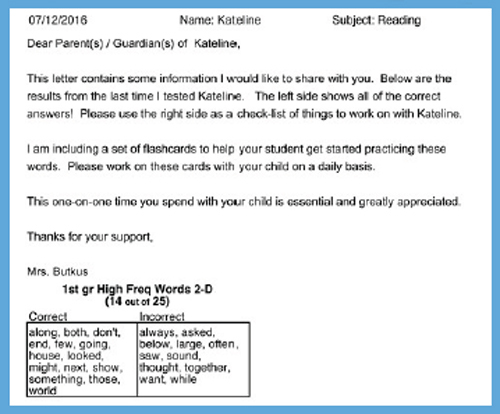 If there is nothing to edit when you're done testing, you can go straight to printing flashcards for items missed, or parent letters. When you are done, you can print out the flashcards instantly - of JUST the items the child missed! Check graphs and charts to analyze the data. These graphs show the results of an individual child. You can see what you have already tested, the last testing date, and the results. 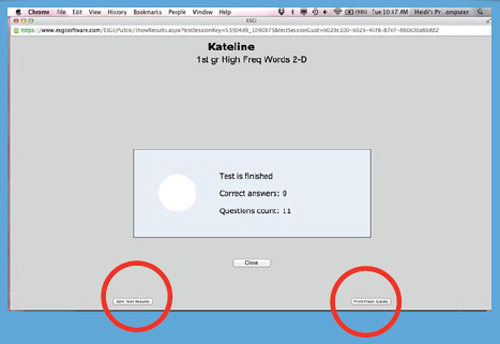 This is what it looks like when you test a child on the computer using ESGI Software. I hope this post was helpful as you're getting ready for the beginning of the new school year and begin planning for assessment testing! :) PLEASE share any more tips you have or that have worked for you! Happy testing!